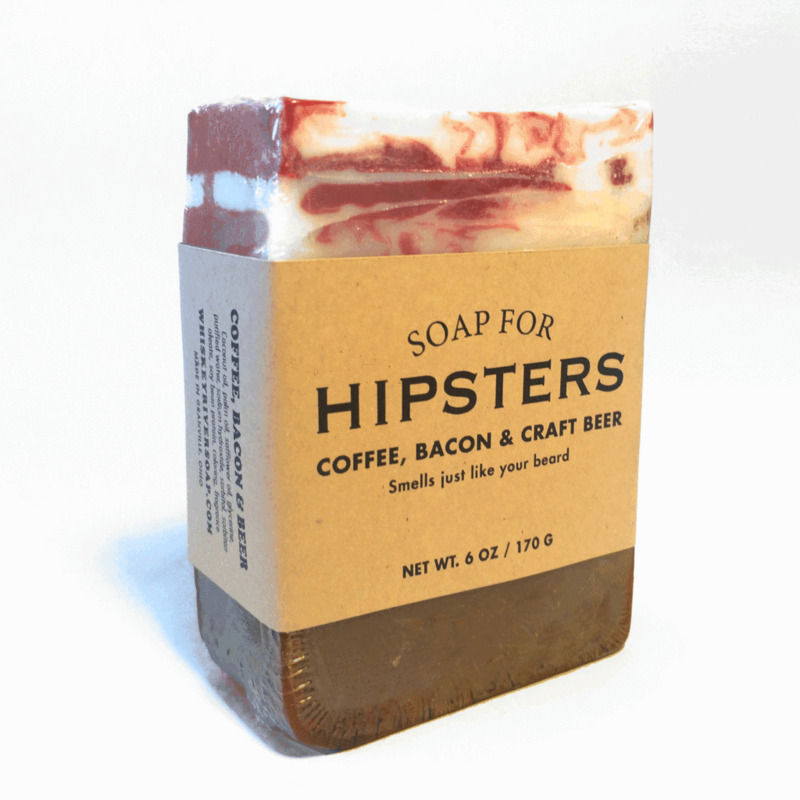 Soap For Hipsters allows you to smell like a hipster! Lather yourself with scents of coffee, bacon, and craft beer with this top selling soap from Whiskey River. The rich scent will leave you hungry and craving more. Each soap is handmade, so no two soaps look alike. Soaps For Hipsters is not only a quality product, but a humorous conversation piece. Leave a bar in your washroom, kitchen, or bathroom, and guests are sure to crack a smile.